"I said one thing that became viral on the social media. I have come here to do the marketing of Madhya Pradesh and if the roads are good, won't I say it?" asked the Chief Minister, at an interactive session at the Indian Consulate here. He added that he would prefer travelling to the Indore Airport through the Super Corridor, than by the road from the Washington Airport to Washington. Chouhan also said that India considered the whole world as "one big family," adding that Indians were also being seen with respect in the United States. "If Indian doctors don't work in the U.S., imagine what will be the condition of the health of the people here. One third of the Indians here are doctors," he added. Chouhan further said that India and U.S had many similarities, adding that both the nations were fighting against terrorism. "We used to earlier think that Barack Obama is India's friend, but so is Trump administration," Chouhan asserted. Calling United States Secretary of State Rx Tillerson visit to India as 'pleasurable', Chouhan said that nobody would ignore India now. Chouhan went on to say that India keeps having "small tiffs" with Pakistan and China. "China tried to enter Indian premises, but the Indian Army retaliated and at the end, the Chinese had to give up. We are a peaceful nation and won't irk people. But if somebody irks us, we won't leave them," he asserted. Speaking about Prime Minister Narendra Modi, the Chief Minister asserted that under the NDA regime, a strong India was making way. 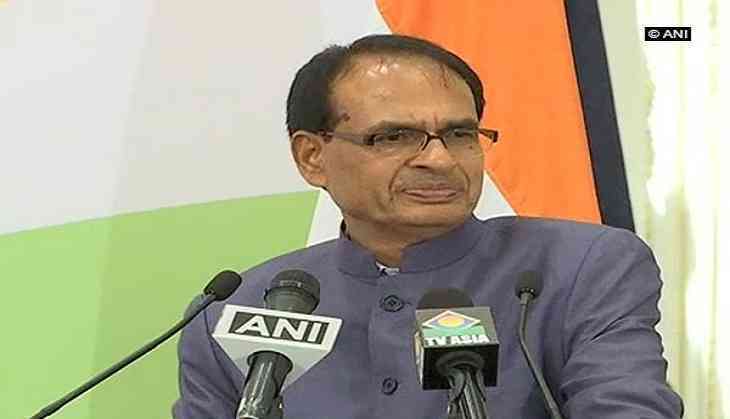 Boasting about his state, Chouhan said, "Had you seen Madhya Pradesh 12-14 years back, you would have seen how underdeveloped it was. There was no infrastructure, no roads; we have constructed 1,50,000 lakh kilometre roads." "The world's biggest solar plant is being established in MP's Rewa city. We are providing the world's cheapest electricity. And MP is power surplus state," he added. He asserted that if Delhi needs electricity, it is provided through MP. Chouhan also said that the agriculture growth rate in MP has been unprecedented. He added that his government needed to work on the health and education sectors.